Are you investigating the costs and process of getting PLD running with in your school? Complete our General Enquiry Form (either the hard copy download or online form) to get relevant information and quotes to help get you started. 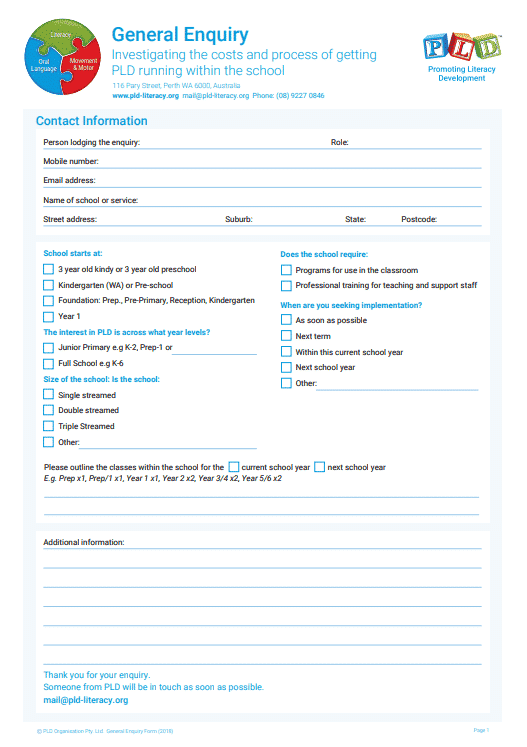 Complete the hard copy form, return it to [email protected] and one of our staff will be in touch with you shortly. Submit the form below and one of our staff will be in touch with you shortly. Please select the year levels that apply.